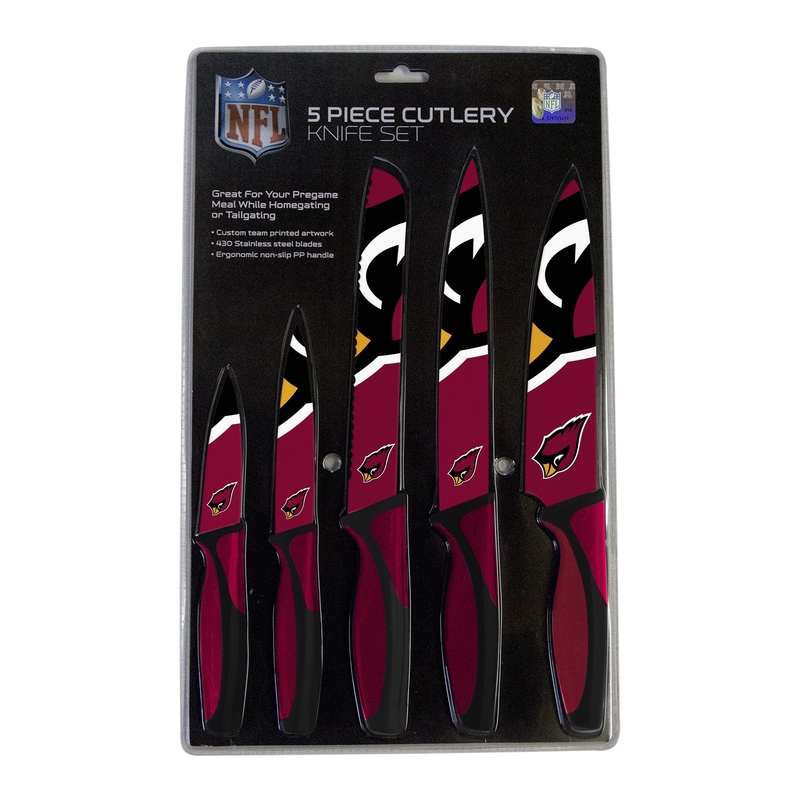 Elevate your fandom to the next level with the Nfl officially-licensed Arizona Cardinals Kitchen Knives Set of 5. 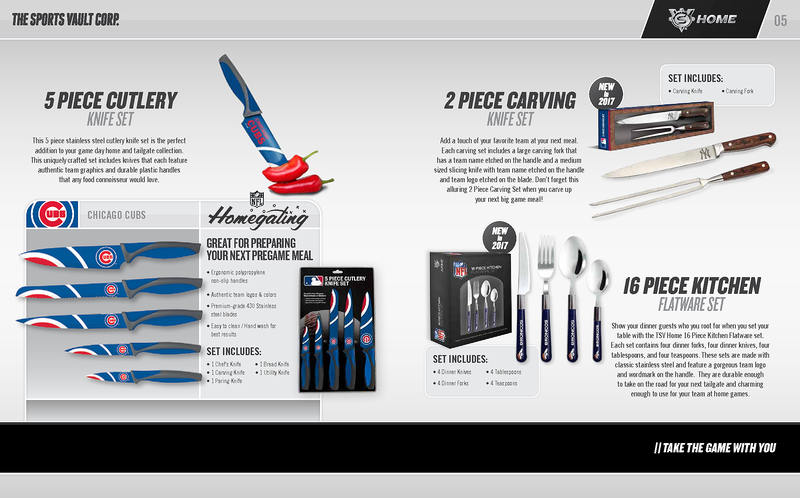 Equipped with a paring knife, carving knife, utility knife, chef's knife and bread knife, this set of five will make you the talk of the next tailgate or game party. Each knife features the vibrant Arizona Cardinals color scheme and the infamous mascot, Big Red.The blades are forged from reliable stainless steel for durability and cleaning simplicity. 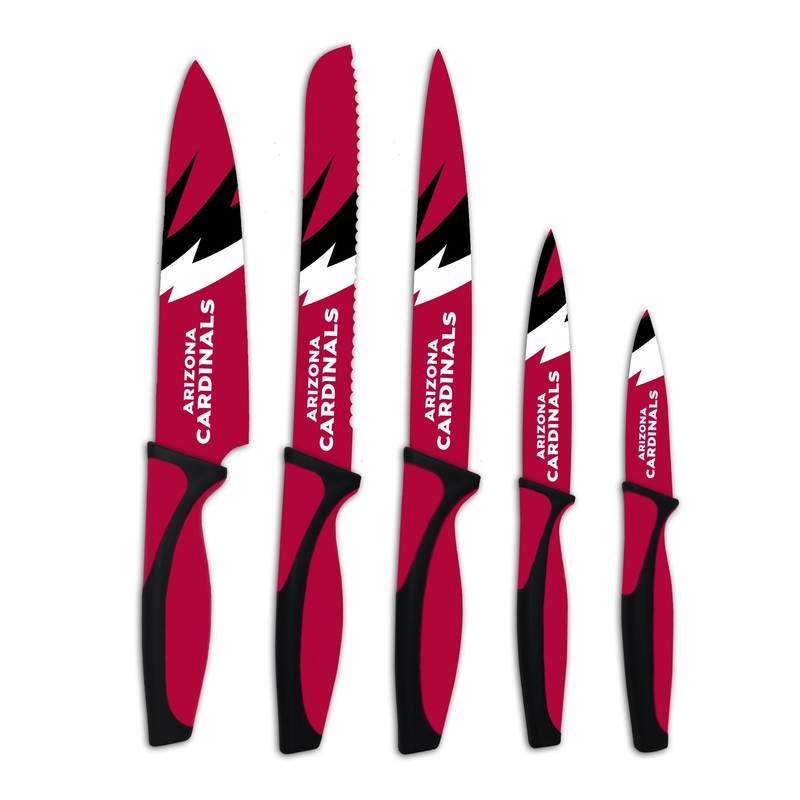 The Arizona Cardinals Kitchen Knives Set of 5 feature an ergonomic polypropylene soft grip handle that includes non-slip technology for bolstered safety. All knives within the set have passed any applicable food safety testing. 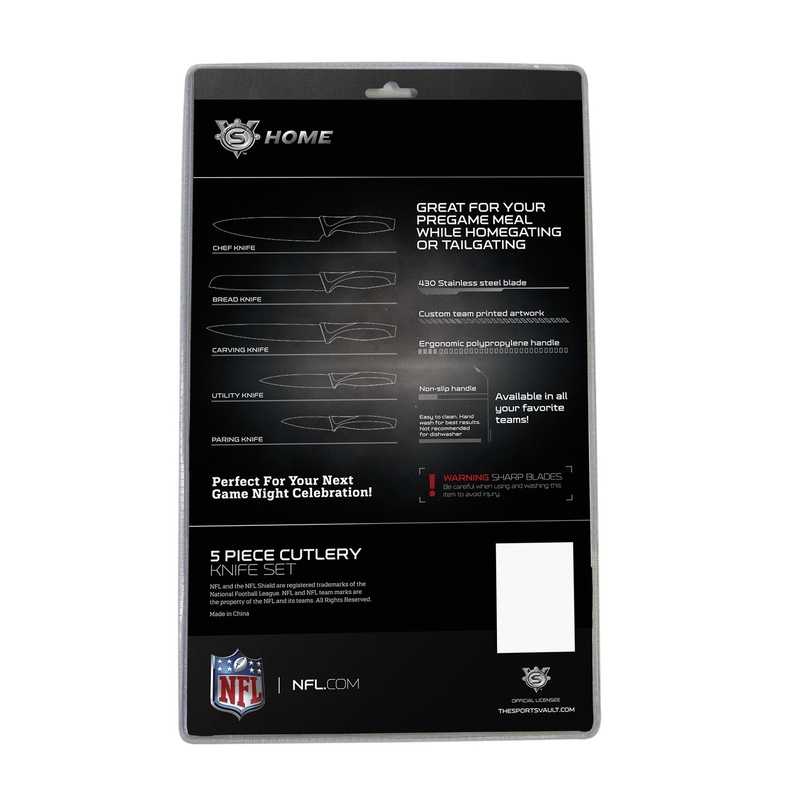 Order the Nfl-Licensed Arizona Cardinals Kitchen Knives Set of 5 Today for yourself or as a gift for a friend or family member!